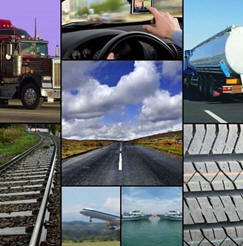 October 16, 2011 - The Department of Transportation (DOT) celebrates its 45th anniversary. The DOT is a federal Cabinet department of the United States government concerned with transportation. It was established by an act of Congress on October 15, 1966, and began operation on April 1, 1967. It is administered by the United States Secretary of Transportation. The mission of the Department of Transportation, a cabinet-level executive department of the United States government, is to develop and coordinate policies that will provide an efficient and economical national transportation system, with due regard for need, the environment, and the national defense. It is the primary agency in the federal government with the responsibility for shaping and administering policies and programs to protect and enhance the safety, adequacy, and efficiency of the transportation system and services. The Homeland Security Act of 2002 authorized the establishment of the Department of Homeland Security, which, on March 1, 2003, assumed management of the United States Coast Guard and the Transportation Security Administration, formerly DOT Operating Administrations. From its inception the United States government wrestled with its role in developing transportation Infrastructure and transportation policy. Often, the result has been confusion and needless complexity, leading to an overabundance of aid for some means of transportation and inadequate support for others. The law that established a cabinet-level Department of Transportation did not pass Congress until ninety-two years after the first such legislation had been introduced. Lyndon Johnson called it "the most important transportation legislation of our lifetime . . . one of the essential building blocks in our preparation for the future. . . ."
Passage of the Department of Transportation enabling act in 1966 fulfilled a dream at least as old as that of Thomas Jefferson's Treasury secretary, Albert Gallatin. Even before that, the Coast Guard and the Army Corps of Engineers had helped to foster trade and transportation. To enhance the prosperity of struggling new states and to fulfill the need for rapid, simple, and accessible transportation, Gallatin recommended in 1808 that the federal government subsidize such internal improvements as the National Road. Just before he left office in June 1965, Najeeb Halaby, administrator of the independent Federal Aviation Agency (as it was then called), proposed the idea of a cabinet-level Department of Transportation to Johnson administration planners. He argued that the department should assume the functions then under the authority of the under secretary of commerce for transportation. Moreover, he recommended that the Federal Aviation Agency become part of that department. As he later wrote, "I guess I was a rarity-an independent agency head proposing to become less independent." Frustrated because he thought the Defense Department had locked the Federal Aviation Agency out of the administration's supersonic transport decision-making, Halaby decided that a Department of Transportation was essential to secure decisive transportation policy development. After four-and-a-half years as administrator, he concluded that the agency could do a better job as part of an executive department that incorporated other government transportation programs. "One looks in vain," he wrote Johnson, "for a point of responsibility below the President capable of taking an evenhanded, comprehensive, authoritarian approach to the development of transportation policies or even able to assure reasonable coordination and balance among the various transportation programs of the government." Charles Schultze, director of the Bureau of the Budget, and Joseph A. Califano, Jr., special assistant to the president, pushed for the new department. They urged Boyd, then under secretary of commerce for transportation, to explore the prospects of having a transportation department initiative prepared as part of Johnson's 1966 legislative program. On October 22, 1965, the Boyd Task Force submitted recommendations that advocated establishing a Department of Transportation that would include the Federal Aviation Agency, the Bureau of Public Roads, the Coast Guard, the Saint Lawrence Seaway Development Corporation, the Great Lakes Pilotage Association, the Car Service Division of the Interstate Commerce Commission, the subsidy function of the Civil Aeronautics Board, and the Panama Canal. With modifications, Johnson agreed, and on March 6, 1966 he sent Congress a bill to establish a Department. The new agency would coordinate and effectively manage transportation programs, provide leadership in the resolution of transportation problems, and develop national transportation policies and programs. The department would accomplish this mission under the leadership of a secretary, an under secretary, and four staff assistant secretaries whose functions, though unspecified, expedited the line authority between the secretary and under secretary and the heads of the operating administrations. With the proposed legislation Johnson sent Congress a carefully worded message recommending that it enact the bill as part of his attempt to improve public safety and accessibility. Johnson recognized the dilemma the American transportation system faced. While it was the best-developed system in the world, it wasted lives and resources and had proved incapable of meeting the needs of the time. "America today lacks a coordinated transportation system that permits travelers and goods to move conveniently and efficiently from one means of transportation to another, using the best characteristics of each." Johnson maintained that an up-to-date transportation system was essential to the national economic health and well-being, including employment, standard of living, accessibility, and the national defense. After much compromise with a Congress that was jealous of its constitutional power of the purse and its relationship with the older bureaucracies, Johnson signed into law the Department of Transportation enabling act on October 15, 1966. Compromise made the final version of the bill less than what the White House wanted. Nevertheless, it was a significant move forward, producing the most sweeping reorganization of the federal government since the National Security Act of 1947. On April 1, 1967, the Department opened for business, celebrating the "Pageant of Transportation" five and a half months after Johnson had signed the enabling legislation. Dignitaries from the department, the Smithsonian Institution, the transportation industry, and the public gathered for ceremonies on the Mall celebrating the start of the new department. Alan S. Boyd, named by Johnson as its first secretary, guaranteed that the new department would "make transportation more efficient, more economical, more expeditious and more socially responsible."